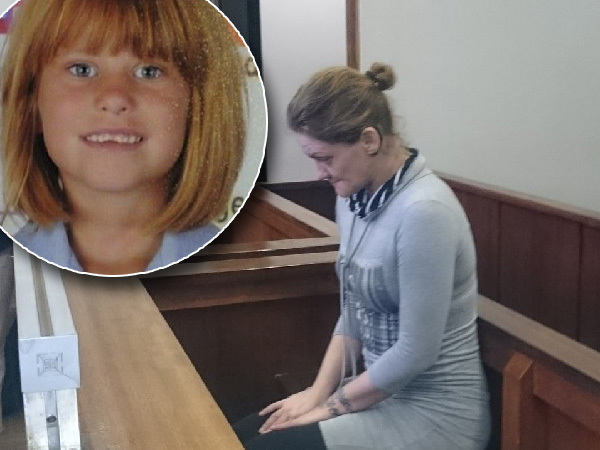 The Vanderbijlpark mom sobbed as the State prosecutor described how her daughter died. “It must have taken her a while to strangle the child.” The state prosecutor, Erik van der Merwe, described the circumstances around the death of Sonia Koekemoer’s daughter during her appearance in the Vanderbijlpark regional court on Monday. On Thursday 11 August 2016 Soniya pleaded guilty on murder charges filed against her and admitted that she was the one who strangled her nine-year-old daughter Michelle to death in their apartment. A decision was taken for the court to proceed with the trial in the Vanderbijlpark high court even though Sonia’s psychiatric results had not yet been made available by Monday. Her legal representative, Francois de Kock, claimed that Soniya only made the decision to take Michelle’s life mere minutes before carrying out the murder -- as such, it was not premeditated. He also urged the court to consider a lighter sentence due to the fact that Soniya pleaded guilty and has shown remorse for her actions. He insisted that Soniya is not a danger to others. An emotional Soniya lost control over her emotions and cried often during Francois’s address, wiping her tears on her sleeve. During his address the state prosecutor claimed that the murder was premeditated or planned by Soniya. He maintained that Sonia was supposed to be looking after her daughter and that it would take have taken her a long time to physically strangle her to death. Soniya had initially said in a police statement that she found Michelle dead in her bed on 9 June. She alleged that burglars had strangled her with a rope, she also claimed that she woke up with a rope around her own neck. He also called Soniya “the master of her own undoing” and requested the Soniya receive a life sentence.